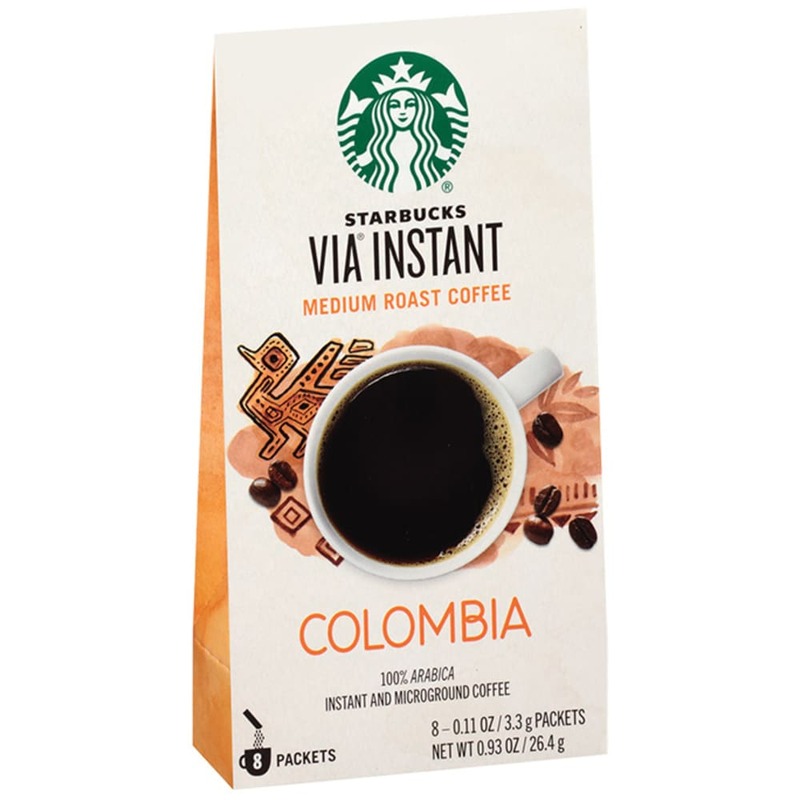 Enjoy your favorite Starbucks coffee from anywhere with a box of VIA® Columbia 8 Pack Instant Coffee. Open a packet, add hot water, wait 10 seconds and enjoy 100% Colombian Arabica coffee. Simply add hot water, wait, stir, and enjoy!